Junk food is great, but I bet you wouldn't eat it every day for a week, at the risk of feeling terrible at the end of it. You know it tastes good but it lacks nutritional content and I'm pretty sure parents don't want to feed their kids fast food every day. With that said, then why feed bread to birds? Junk food is great, but I bet you wouldn't eat it every day for a week, at the risk of feeling terrible at the end of it. You know it tastes good but it lacks nutritional content and I'm pretty sure parents don't want to feed their kids fast food every day. With that said, then why feed bread to birds? 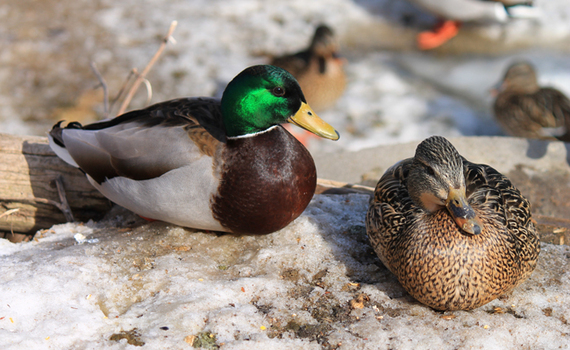 People have learned this habit to throw leftover bread in lakes and parks to "feed the birds and ducks." It might make people feel good that they provided food, but it's doing more harm than anything. Here's why! What probably began with one person's indecision with what to do with leftover bread has become an international family loved activity. The problem? Birds don't eat bread naturally. 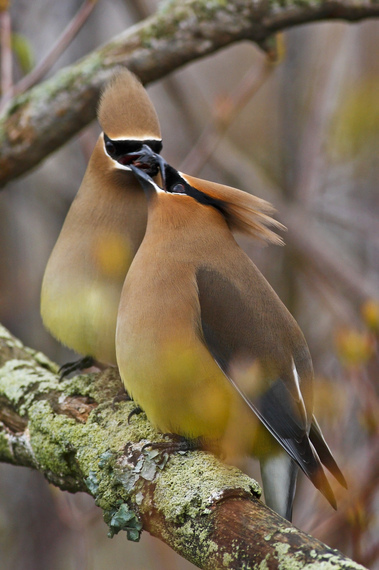 Most common bird species include seed-eaters such as sparrows and finches, fruit/nectar-eaters such as hummingbirds and waxwings, and insect-eaters such as warblers and wrens. Ducks and other waterfowl are less picky when it comes to food items; they like to munch on seeds, aquatic vegetation, aquatic larvae and sometimes fish. Therefore, unless you're bringing 14-grained-muesli-whole-wheat-brown bread with no sugar-or-preservatives-added, gluten-free and sulfites-free, then bread is really, really not a natural source of food for birds. But what happens when they do eat the bread? Well, nothing good. Imagine only getting to chew and swallow pieces of gum all day. The gum's sugar may keep your hunger at bay but your energy levels might drop since there are no other nutritional values. And certainly swallowing wads of gum won't make your digestive tract happy. In fact, you might cause blockage in your intestines as the pieces of chewing gum sit there and decompose. Definitely not a comforting thought, if you ask me. Now think of bread as chewing gum for birds. Since people tend to throw slices of bread onto ponds and lakes, these pieces are way too large for most birds, but they go for it anyways. As a result, the large pieces will get lodged in their crops, the bird organ for storing food located right after their throat. The food will mold and cause yeast infections that are often fatal. As for the bread pieces that do pass through to the stomach, they fill up the bird with none of the nutrients it vitally needs to survive. The lack of specific vitamins and proteins cause deformities and interrupts normal growth and repair. 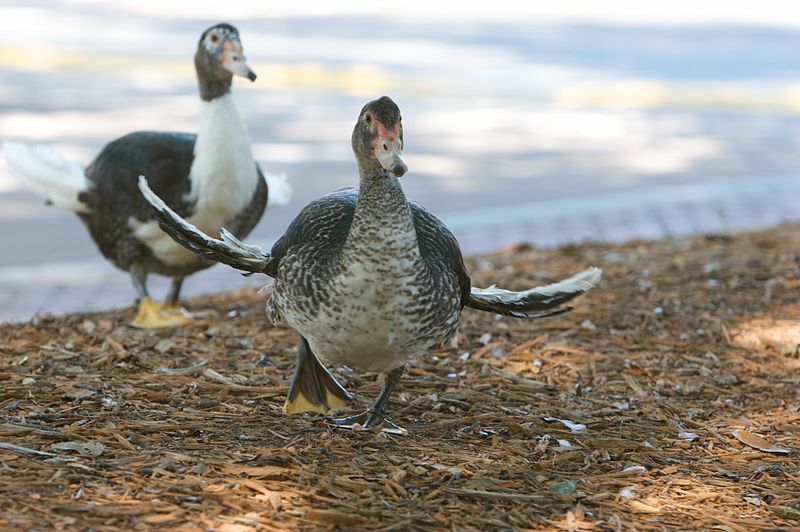 For example, angel wing is becoming way too common in urban waterfowl species. Angel wing is directly caused by malnutrition. The bones and joints of the wings do not grow properly. Instead of lying flat against the body, the wings grow outwards. Birds can no longer fly. They can no longer migrate to a warmer spot when winter arrives. They can no longer defend themselves from predators or even vehicles on the road. So what can we feed them? Since going for a stroll in the park or along the lake has been a family favourite activity, an ideal first date activity and some people's only time in nature, there's no need to stop going. Just change what foods you bring along. Lettuce, chopped up fruit, berries, cracked corn and raw seeds are all easy to pack and carry along. As for leftovers, what about the cauliflower greens that don't get used up in your stir fry? or the romaine cores that are a wee tad too bitter? Or all those carrot peels? All of the above contain much more nutritional value for birds than bread ever will. This way you can still feel happy about providing good foods for birds. Then, by passing on the word to others, you can contribute to help all birds species stay healthy! Now that's definitely something to toast! Written by Tina-Louise Rossit, guest blogger for the Nature Conservancy of Canada. This post originally appeared onLand Lines.